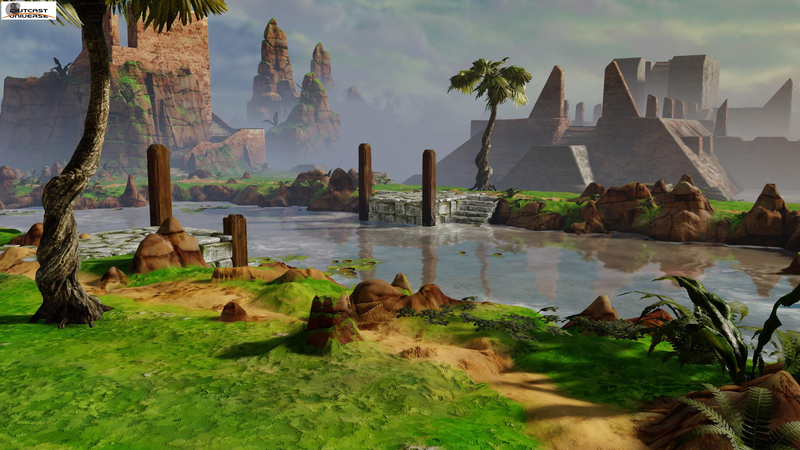 They explained that in secret they bought back the rights for Outcast and they wanted to re-release the original game with updated HD graphics, new features, bug fixes, higher resolutions, release on current consoles and so much more. But that required a lot of money and since all of the creators finances went to obtaining the rights of Outcast, they needed to start a Kickstarter campaign. 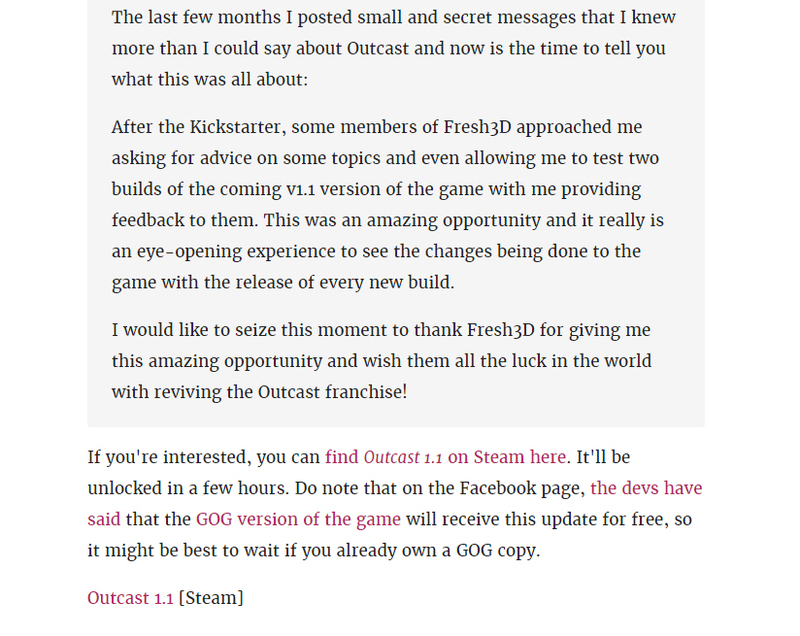 During the Kickstarter I came in contact with one of the developers and helped out getting the news about the Outcast Reboot HD in the world. 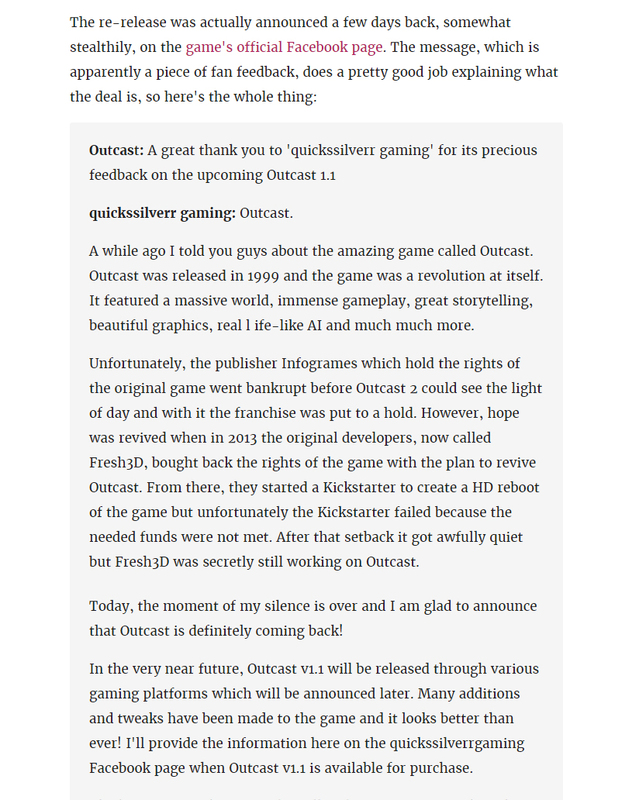 I contacted a lot of Dutch and English gaming websites explaining what is about to happen with the revival of Outcast and the Kickstarter program and asked if they could dedicate an article to it. 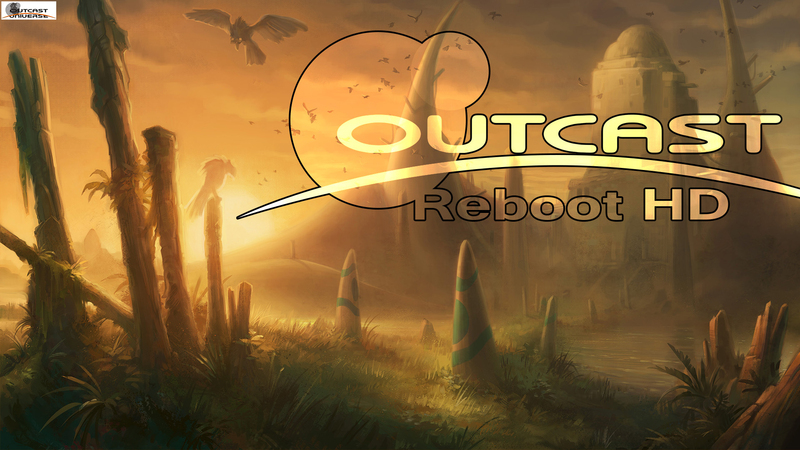 Next to that, I created various wallpapers and pictures devoted to the Outcast reboot to get the attention even further out in the world. 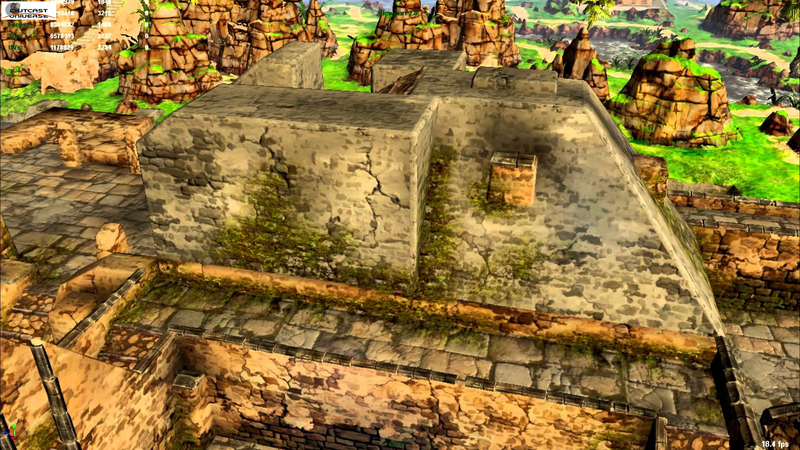 On my own gaming page (quickssilvergaming website) and Twitter I posted a lot of articles, pictures and updates about the Kickstarter to spread the word on the game’s reboot. 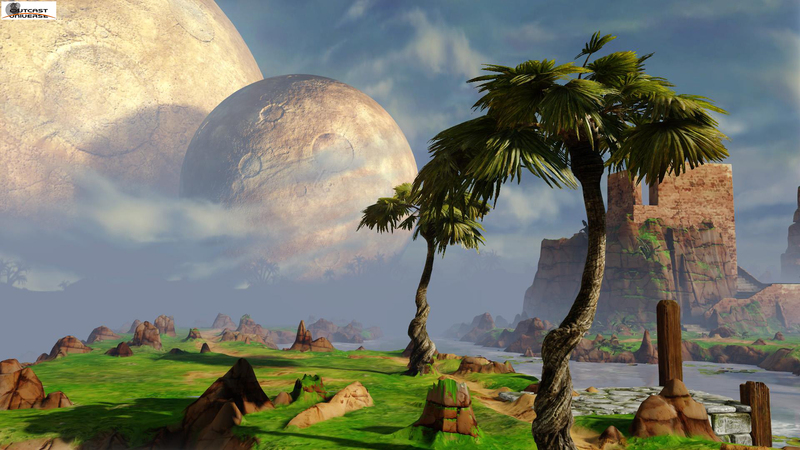 The Kickstarter campaign did very well with 5,194 fans backing up the project with a pledge of $268,964 in total while the developers needed $600,000 to complete the project. 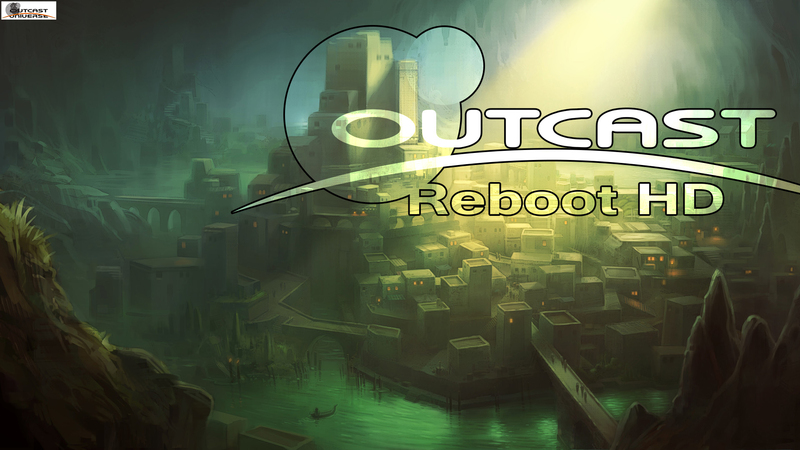 In the end, unfortunately the Kickstarter for the Outcast Reboot HD failed and the funds needed weren’t met. 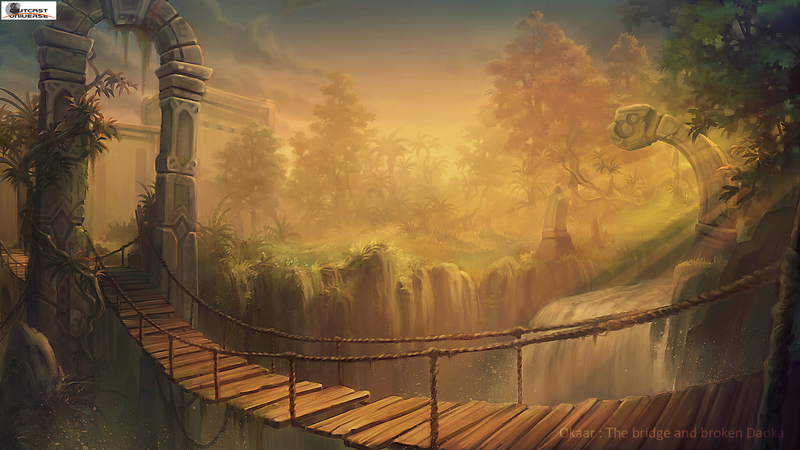 After the Kickstarter failed the developers needed to take a step back, rethink their strategy and come up with new ideas on what to do next. Luckily a good thing came out from the Kickstarter campaign: Outcast got enough support for the Greenlight program of Steam’s gamingplatform! 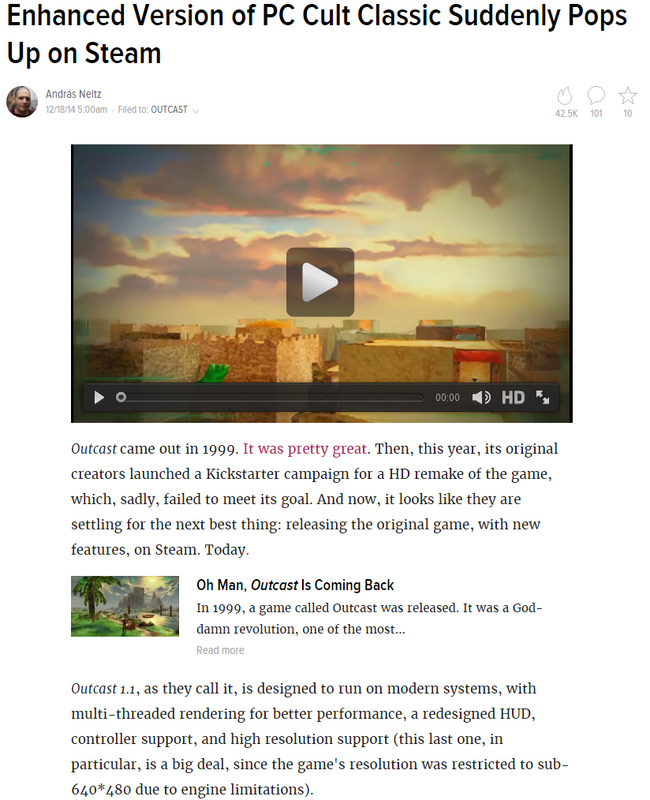 So eventually, Outcast 1.1 was released on 18 Dec, 2014. 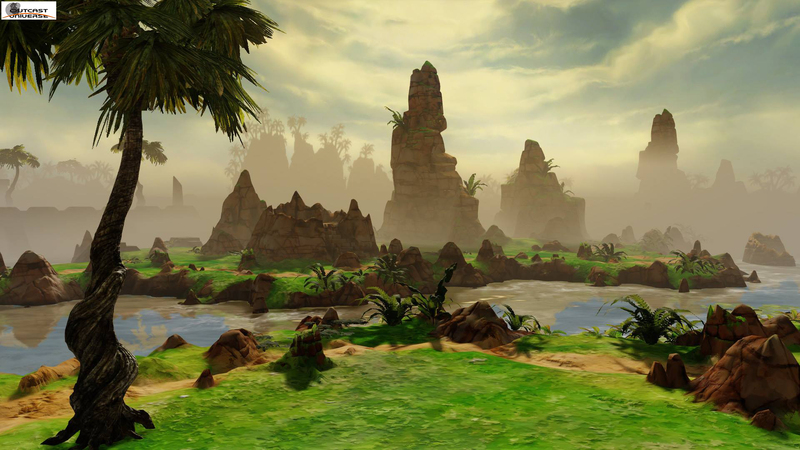 It is the latest version of Outcast obtainable, created by the original developers of Outcast.